1.search on the top(precise, suggested), try this search if you have an idea of you future job title and location. 2.Advanced search, if you want to search by narrowing down, this one can be very helpful. 3.Popular words search, it is on the bottom of the page. 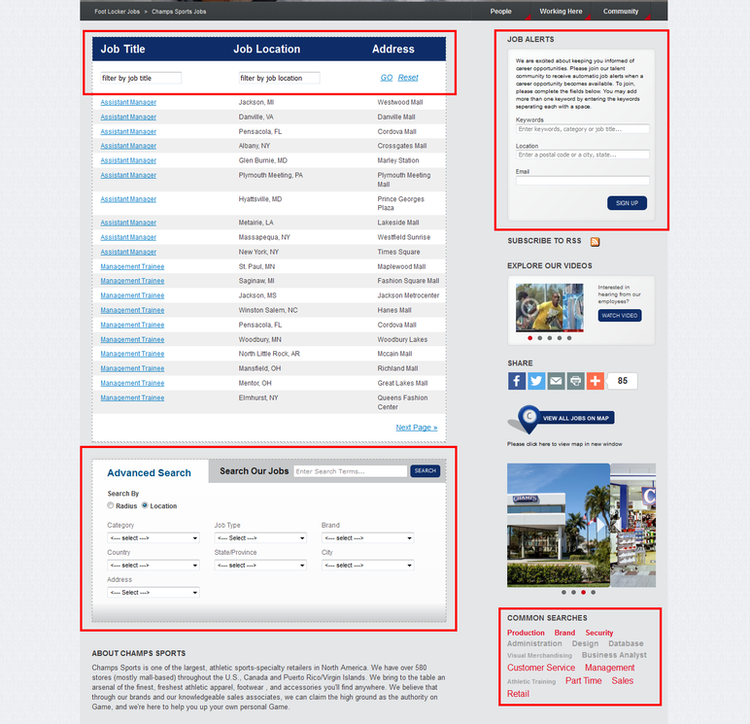 Besides, the sites provides a job alert function on condition that you offer your e-mail. Let’s click on a job title on the site. Go to APPLY NOW as long as you find yourself eligible for the job. You can add this job into job basket if you are not sure about to apply it. Champs Sports requests candidates to sign in for the first time to apply on its site. 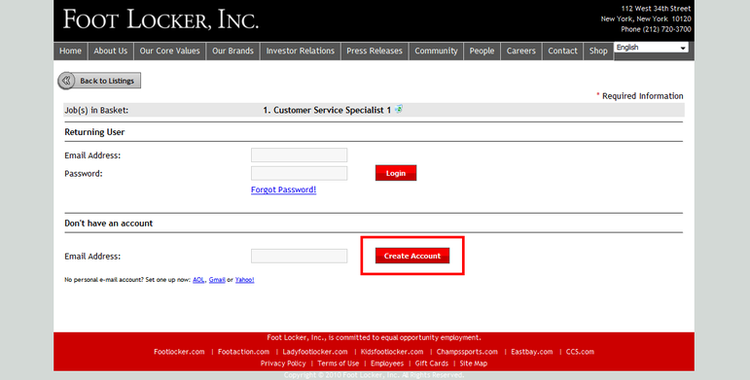 Create an account by filling necessary information. 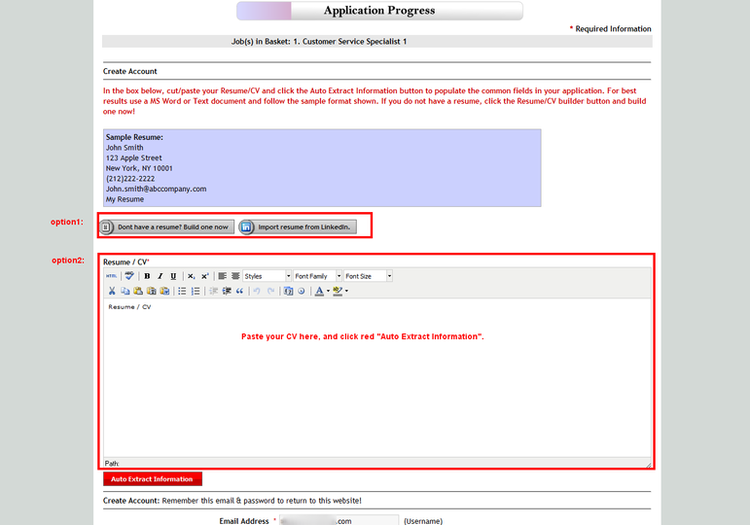 Champs Sports offers two options to upload your resume. Either build one manually or import from LinkedIn is OK. The big box below can help you generate a standardized resume. Follow the guidance in the picture to finish this step. Make sure that you apply for the correct position with a correct resume. Go back to edit your CV if anything is wrong. Click Go To Next Step if everything is going well. Submit your resume and add other file attachments to prove you capability. You don’t have to add if there’s no attachment. Your application has been accepted successfully when you see this page. 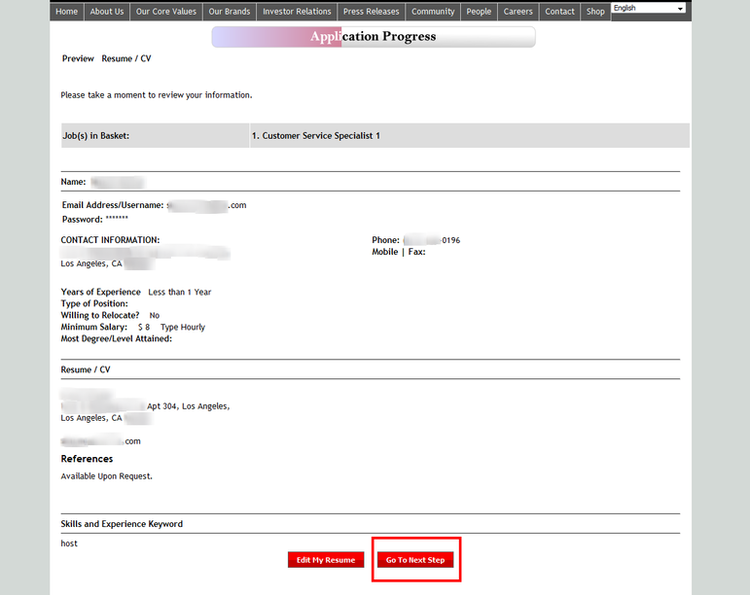 You can check your application status in the “Job Basket” or see around by clicking “Back to Listings”. Click champssports.com/jobs to apply for Champs Sports jobs online.